Muslin is a lightweight cotton fabric with a lot of versatility. It’s also old. Like, 13th century old. Yeah. It’s uses range from apparel and theater projects to practical bandages and culinary purposes. A common question about muslin fabric is, can it be used for curtains? The answer… of course it can! 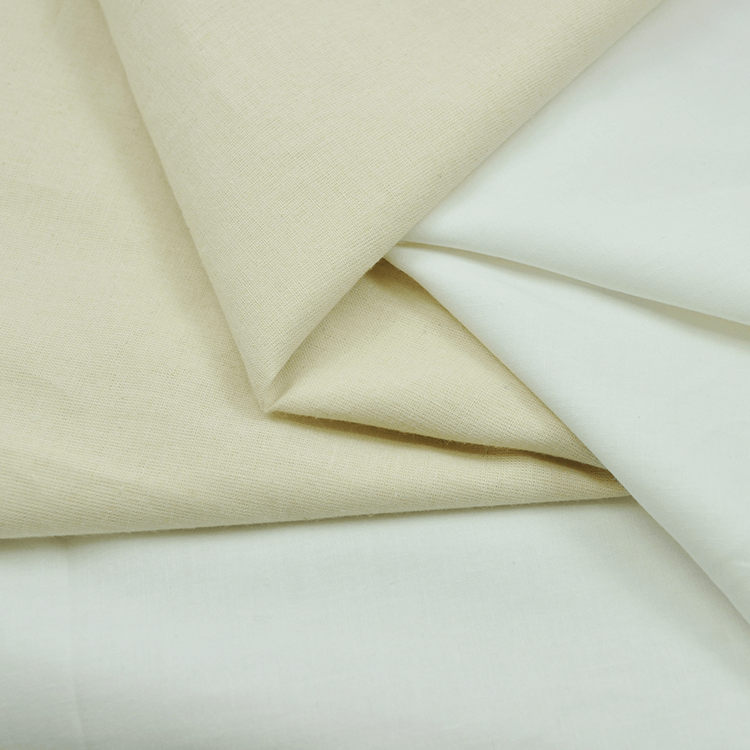 Muslin is a lightweight 100% cotton plain weave cloth. This means that the warp and weft threads are woven in a criss-cross pattern. 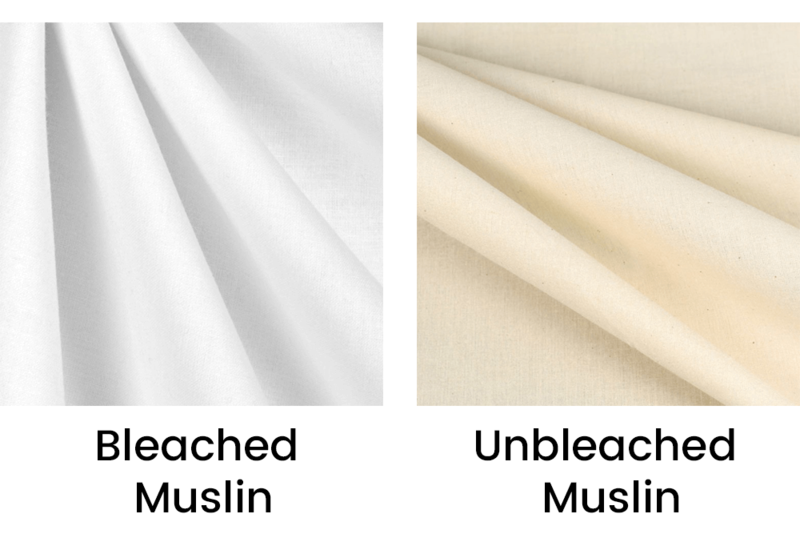 You can find muslin in varying thread counts, widths and weights, but they all fall under the categories “bleached” and “unbleached”. Bleached muslin is white, while unbleached muslin is an irregular beige color. I mentioned earlier that muslin is a really old fabric. Written accounts date back to the 13th century, it is believed to originate in Bangladesh. Some say that the original crusaders brought it back to Europe where it was a popular dress-making fabric. Nowadays it has all kinds of practical uses. Fluid-like solids like cheeses and puddings are often wrapped in muslin to retain it’s shape. Theater and set designers use muslin for backdrops and light diffusers. Doctors use muslin for wrappings and bandages. Muslin is also often used for apparel, notably for clothing mock-ups. Quilters often use muslin to use as a backing or lining for quilts. There are any benefits to using muslin fabric for curtains. Perhaps the biggest benefit is… it’s cheap. While drapery and décor fabrics are popular for curtain making, they can be pricey. Their prices per yard can range anywhere from 5$ to over 100$. Muslin on the other hand is always affordable. Basic muslin usually falls between 2$ and 10$ per yard. If you’re buying lots of yardage for large/multiple projects, this makes a huge difference. Another big plus is that muslin is easy to work with. Cutting and sewing muslin is straightforward, and there are times when cutting and sewing is optional. The selvage edges of muslin don’t fray, so you’ll only need to finish sides that are cut. Since muslin is available in different widths, you may be able to find a width that matches the width of the curtains you want to make. This means you can cut it to the right length, and only finish the top and bottom hems! Muslin is really only available in white and off-white. Boring, right? Not necessarily. Since muslin is made of 100% cotton, it takes well to dyes. Sure, it starts off as plain white, but with fabric dye, the possibilities are endless. 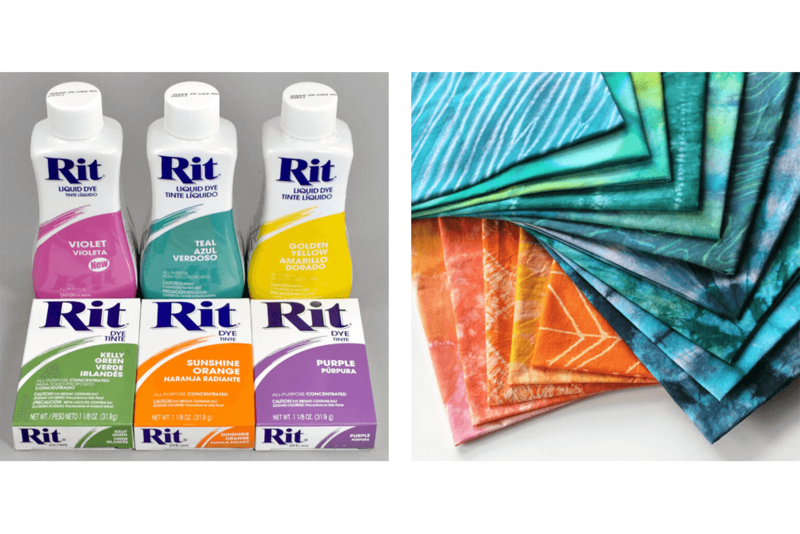 Not only can you essentially dye the curtains any color you like, you can use different dyeing techniques for different looks. You can also use paint on muslin. Making a new set for your kid’s bedroom or playroom? Let them paint a masterpiece on their new curtains, or add colorful hand prints. When you work with muslin, keep in mind that the fabric will shrink. It’s a good idea to pre-wash the fabric before cutting. You may even want to give it another wash before finishing the hems. This way it’ll fall where you want it, and you can take them down and wash again without future shrinking. Another way you can use muslin is as a curtain lining. It may not help much with blocking out sound or light, but a plain white muslin will look great as a basic drapery lining. The options for what type of curtain to make are fairly limited. When it comes to muslin the name of the game is simple, cheap, and quick. If you wanted professional looking box pleat or blackout curtains, muslin isn’t gonna cut it. But if you want a light, airy set of rod pocket curtains, muslin will work wonderfully!